The Whitham family engineering business was first established in 1794 by John Whitham. The 1817 Baines directory lists John Whitham as a Millwright of Kirkstall, however in 1823 John died, leaving his engineering works to his sons Stephen and Joseph. On the 1st October 1823 a deed of partnership was issued between Stephen and Joseph Whitham, Iron Founders. In 1839 the company sold a 25hp beam engine and boiler to Kirkstall forge for �50. This drove a 14" mill and guide mill and was in use until 1921. They also supplied a double beam engine to local textile company Hattersley and Co. In 1850 they sold an engine to Hull Waterworks. �000 deposit is shown in their accounts. The Census of April 1851 shows Stephen and Joseph Whitham as engineers and millwrights employing 270 men. The partnership between Stephen and Joseph Whitham was however dissolved on the 1st May 1851. Stephen went on to create the Monk Bridge Ironworks, which he subsequently sold to the Kitson family. Joseph became an Alderman of the borough of Leeds (A Whig, he took Headingley ward from the Conservatives, the first time they had lost this seat) He set up a new engineering firm in partnership with his son John, trading as Joseph Whitham & Son at the 'Perseverance Iron Works' on Kirkstall Road in Leeds. John Whitham died of typhoid on 23rd September 1852. Joseph had two other sons, James (21 at the time) and Joseph junior (19). The firm continued to trade as Joseph Whitham & Son. Joseph died at his home, Wanstead House, Burley on 15th March 1854. 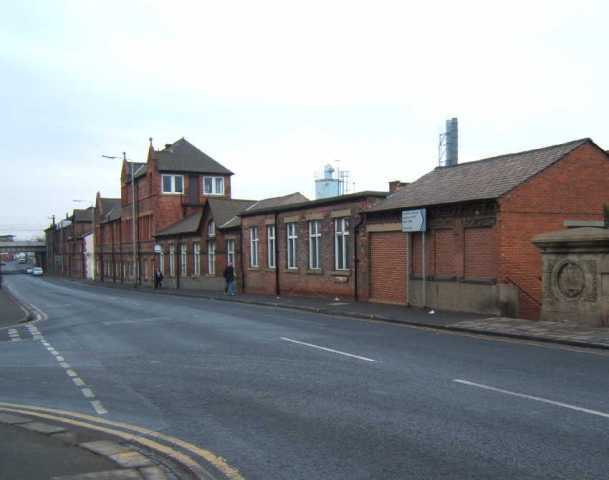 In 1854 Leeds council was in discussion with the representatives of Joseph Whitham to purchase two steam engines for the Arthington Pumping station. These were subsequently ordered. It was about this time that James and Joseph Whitham junior formed a partnership but they continued to trade as Joseph Whitham & Son. STEAM CARRIAGE FOR COMMON ROADS � Last week a visit was paid by members of the Society of Mechanical Engineers to the works of Messrs-Whitham, Kirkstall Road, Leeds, where was exhibited a steam carriage intended to run on common roads. On Thursday, this carriage was started on the lower road and ran to Kirkstall, where it mounted the steep hill leading to the upper road and returned by Burley to the works whence it set out. The journey was repeated in the afternoon, with equal success, and we may add, with not less noise. An article copied from an English journal which appeared in a contemporary San Francisco newspaper extolled the virtues of a steam-powered vehicle made by Barrans in Great Britain and claimed it was able to move its cargo of 35 tons at a speed of 5mph 憃n any kind of road including deep sand�. It may have been this claim in the newspaper that convinced the American copper mine owners Hooper, Hinton and Holstead to approach Messrs RL Ogden and Wilson of San Francisco and give them orders to obtain such a vehicle from Britain with a view to transporting their ore to a smelter in San Francisco . 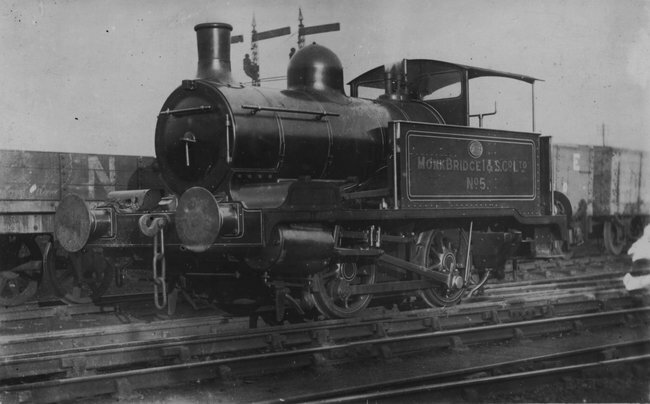 慚r Wilson of this partnership had visited England and whilst in Leeds, had seen a Barrans design of engine and he had been very impressed by it. Mr Wilson had ordered a machine at once and it was 慽mmediately� built for him by Joseph Whitham & Son, Perseverance Iron Works, Kirkstall Road, Leeds�. Mr Wilson is said to have remained in England long enough to be content that the machine would be satisfactory for its intended purpose and when finished, it was shipped to New York. From there it was sent on around Cape Horn to San Francisco, becoming the first imported steam engine to arrive on America抯 west coast. The engine arrived in San Francisco on 19 May 1860 on board the sailing ship 慡tarlight� and was referenced in the San Francisco newspaper - the Daily Alta California of 10 June 1860 � under the heading of 慐xperimental trial of steam wagon�. Barrans was granted US Patent No 26074 on 8 November 1859 for this machine which was given the title of 慞ortable Traction-Locomotive�. 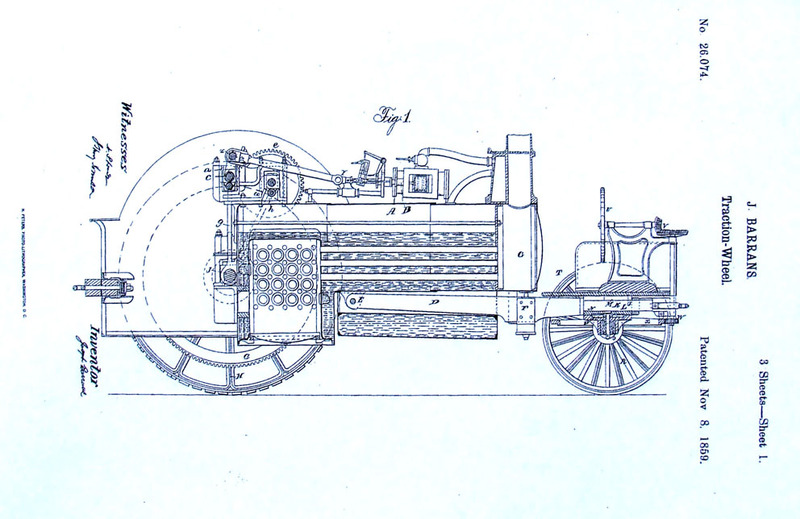 The engine抯 first trial in America took place on 9 June 1860 when, at 11.30am, it was driven from Messrs Ogden & Wilson抯 Vulcan Foundry on First Street in San Francisco where it had been assembled; it having been previously dismantled for shipment purposes. During its trial runs in the Californian city, it was involved in what was the first motor vehicle accident recorded in America � and how many of those have there been since then, I wonder? It was said that after an intended two-month trial, when it was to operate between Los Angeles and San Pedro, the engine was to be used for hauling ore from a mine in Arizona. However, in this, it was obviously not successful since it was not heard of again. A further engine was ordered for Arthington Pumping station on 3rd April 1863, a 300bhp Cornish engine. 90" x 132" bore and stroke. This was complete and commissioned on 10th July 1865. The partnership between James and Joseph was dissolved on 14 September 1865. Joseph died on 12 February 1866. A single cylinder engine was installed at Sutton Poyntz pumping station in Weymouth in 1869. This pumping station is now a museum. The 1871 census shows James is now 揈ngineer & Ironmaster and landowner�. living at Ethel House, Gledhow. In 1873 a branch line from Great Northern railway was installed. Two 125 bhp rotative beam engines were installed Bestwood Pumping station in 1873. These engines were scrapped in 1968 and 1972. The only remnants of this now are two winches now at Papplewick pumping station. The insolvency of Joseph Whitham & Co was reported in 1884. 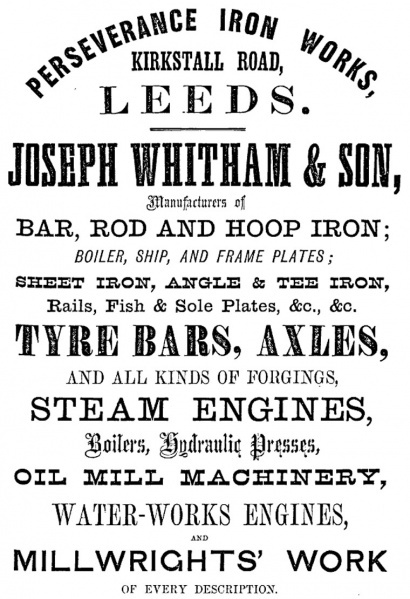 Joseph Whitham & Son was sold to Greenwood and Batley in 1885. Thomas Greenwood was at one time employed by Joseph Whitham senior. The acquisition of Joseph Whitham & Co allowed Greenwood and Batley to branch in to the flour and oil milling machinery market. Created by Stephen Whitham in 1851 it was only in his hands a few years before being sold to James Kitson in 1854. A key product of the Monk Bridge Iron Works was rolled boiler plates, essential for the work of building locomotives that Kitson was doing in nearby Hunslet. Kitson put his sons Frederick and James Jnr in charge of the Monk Bridge Iron Works. Many other products of the works would be supplied to the local engine industry such as axles, buffers, crossheads and tyres. The company became a public limited company following Sir James Kitson's death in 1911 but was taken under government control during the First World War and used for munitions production. Lord Aberconway's 1927 study of British engineering recorded the following of the Monk Bridge business. The Monkbridge Iron and Steel Co began business in 1851, and shortly thereafter was purchased by Mr. James Kitson, father of the first Lord Airedale. Since then the management has been continuously in the hands of the Kitson family. As Sir James Kitson, the late Lord Airedale was for many years an M.P. for one of the Leeds divisions. This firm has built up a large and prosperous trade in high-grade iron and steel, chiefly for railway work, both at home and abroad, and its products include "Best Yorkshire" iron. The Monkbridge Co. was one of the earliest to install Siemens steel furnaces. Its present-day products are mainly railway wheels, axles and tyres. There is also an important business done in crankshafts and all kinds of forgings, which are made in steel of specially high quality. The capital is �0,000 and the firm employs 700 men. The company were badly hit during the depression of the 20s and 30s that saw a huge loss of orders and finished some of the local companies that Monk Bridge were supplying, including their own parent company Kitson & Co. The company stayed afloat a little longer, helped by increasing military work in the run up to the Second World War, but finally going in to liquidation in 1942. With munitions supplies to maintain for the war the works again ended up under government control, operated directly by the Ministry of Supply. Monk Bridge remained with the MoS until 1951 when it was sold to Sheffield based Daniel Doncaster and Sons. The works went on to survive the loss of the local engine making industry, largely through producing precision castings for the aviation industry. 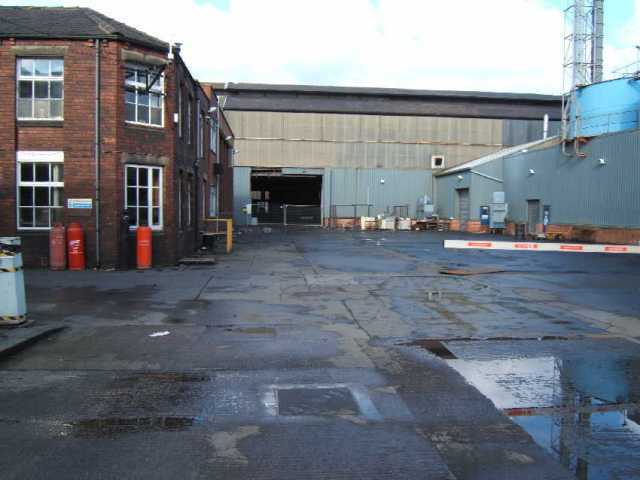 Doncasters finally closed the works in 2005 when work was shifted to Doncasters' plants in Sheffield and Blaenavon. This article was produced by Kris Ward from material supplied by Derek Rayner and Graham Whitham. Any feedback or contributions about the Leeds engine making industry would be greatly appreciated.